I've also been playing around with the angle of the camera. Here's a much steeper angle than is currently shown, just to give you an idea. I haven't decided yet what I will do, but it's at least an interesting perspective. Obviously if I do this then something will have to change with the text, but I'm interested to hear your thoughts. The last thing I did was to fix a few bugs that have been driving me crazy in regards to dialogs. Principally, I changed the trading goods dialog so it all fits in the window, no more overdrawn images! I also fixed a few issues where certain dialogs wouldn't scroll depending on where the mouse was. For this week, I'm going to continue to make visual changes. I feel like this is the single most important thing for me to work on, and thus it is my main plan going forward for the next few weeks. Expect lots of UI and graphical changes, and more images than text, for the weeks to come! Dev Blog- Sea Trading Game- Loading Screen created! I finally have a loading screen that actually works, as can be seen below. It took quite a bit of time to get everything running smoothly, but overall I'm quite happy with the progress! Take a look below at how it works! As with last week, I found a number of other issues while putting this together, and was able to speed up the process a fair bit. There are 3 threads that are involved in creating the world, one that creates the textures, one that creates the world, and a third for the UI updates, which is the least used thread. I'm still going to try and improve it someday, but for now, I'm quite content. This week I'm going to do some bug fixes, and probably some more graphical improvements. I'm hoping to get a reasonable demo of the game done soon, and maybe even a name! The Broker dialog, as you can see, has a full background now, compared to what it had been before. 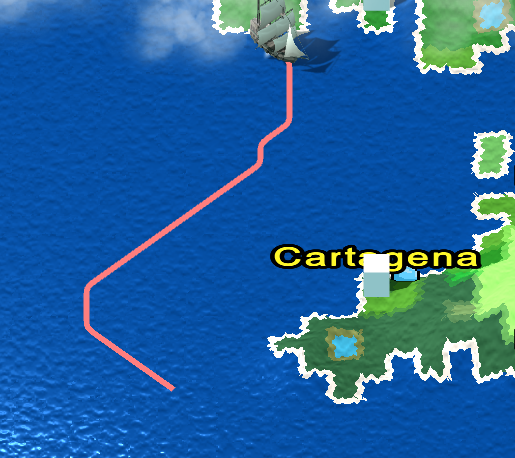 I also added the arrow, which will give you an indicator as to which direction the city is. The plus side is, you can plan now your routes better. I'm quite interested in your feedback. This was in response to a request that I had to show the map of the cities to let one plan our their routes a bit better, I figured this does just as well and is a fair bit less cluttered. 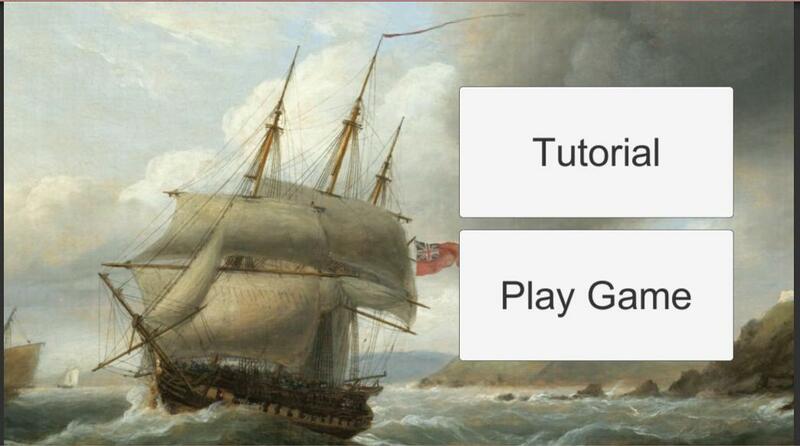 As for the tutorial system, I have set it up now to hold the complete state, which fixes a few bugs. I now have a reasonable tutorial, which I want to do some user testing with soon. I fixed a bug that showed up in the tutorial map where the zoom was stretched too far. 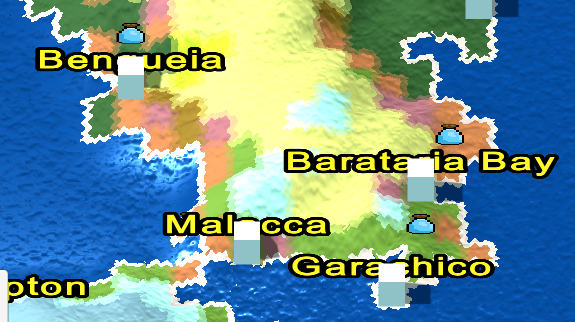 Now at max zoom, the entire map can be seen horizontally, as seen below. I also fixed a bug where the contracts were recreated every time one docked. Now the contracts actually have to wait a day before they are recreated. I'm going to re-design the internal system further at some point in time. This week I'm going to work on bug fixing and UI improvements and bug fixes. I suspect my work might be further slowed due to the release of the previously unnamed game, but I'll still continue to chug along.